Boys & Girls Clubs of Greater Milwaukee’s arts program members are experiencing a fantastic string of recent success, and we’re eager to share them with you, our wonderful Clubs supporters! The Davis Dancers, a group of 5 to 18-year-old members who train and practice at the Don & Sallie Davis Boys & Girls Club, have previously been featured in commercials for Old Navy and Pepsi, appeared on Jimmy Kimmel Live!, and worked with national recording artists. Their success culminated recently while in Los Angeles participating in the national Monsters of Hip-Hop A-List Convention and Competition during which they took home first place in both the large group, and duo/trio competitions! Davien Holton, age 15, was floored by his team’s accomplishment. “When they announced first place, I almost couldn’t believe it. I had to stop and make sure that was our name,” he said. While in Los Angeles, the Davis Dancers were also able to take part in dance workshops and training sessions lead by professional choreographers. But even with first place secured at a national competition, the dance team continues to strive for more. “What’s next for us is to keep moving forward and keep growing as a team. You never know what can happen in the future. We just won first place and this just happened, but something greater can always be around the corner,” said Davien. 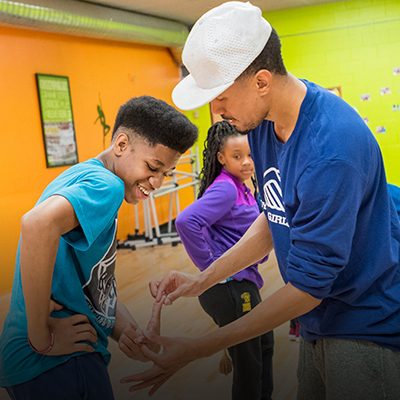 The Davis Dancers aren’t the only arm of the Clubs’ Youth Arts Initative to achieve great success. 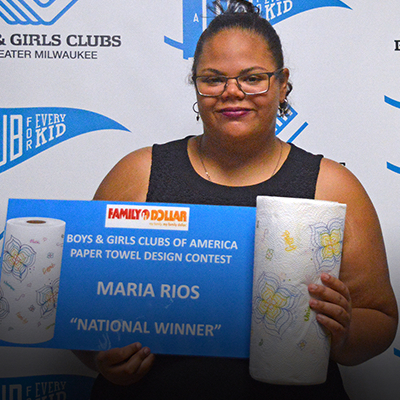 Recently, 13 year old Maria Rios, participant of the Mural Arts program, won a national competition in partnership with Family Dollar and Boys & Girls Clubs of America. 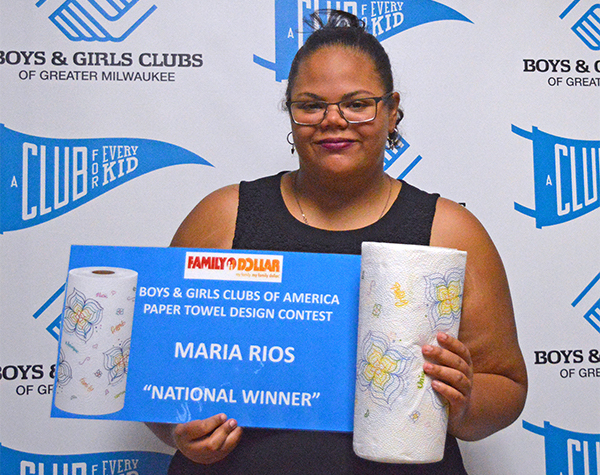 Boys & Girls Clubs members throughout the country submitted designs to be displayed on paper towels and paper plates sold in Family Dollar stores across America. Maria’s design was chosen among hundreds of other entrees and is already being sold in 8,000 Family Dollar locations nationwide. 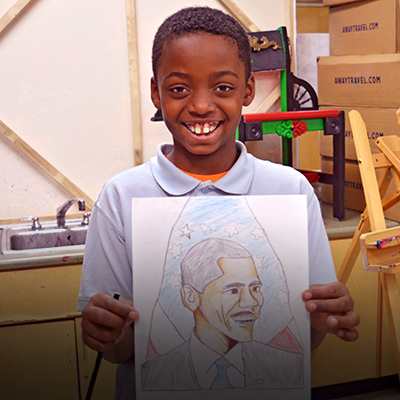 Arts programming at Boys & Girls Clubs encourages youth to express themselves through a creative medium they may not have previously had access to. Maria’s instructor in the Mural Arts Program, Vedale Hill, believes his work is much more than just teaching art, it’s about creative problem solving. 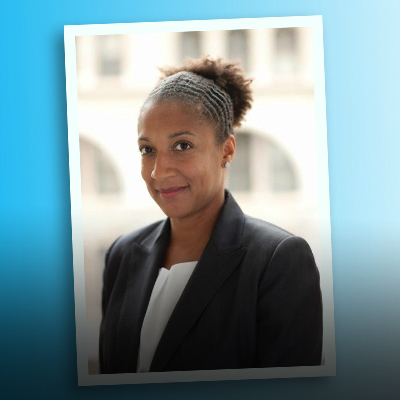 “This is more about: How can I teach you to be a better person and think more creatively, to be more involved in your community, culture and neighborhoods, to pick up some skills that can help you navigate life?” says Hill. 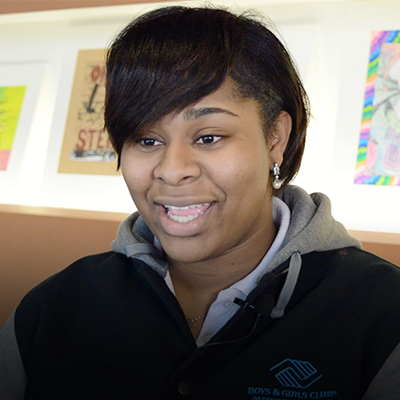 This way of teaching isn’t lost on students like Maria; art is a way for her to stay focused and out of trouble. 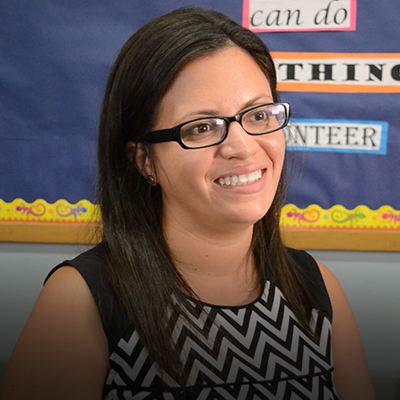 One day, Maria even hopes to be as accomplished as her teacher. 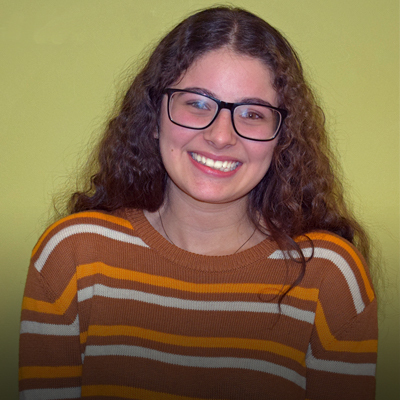 The Mural Arts Program under Vedale has seen such success that it will be expanding to new sites this fall, including the Bay View High School Boys & Girls Club, where one student is getting a jump on receiving national recognition. 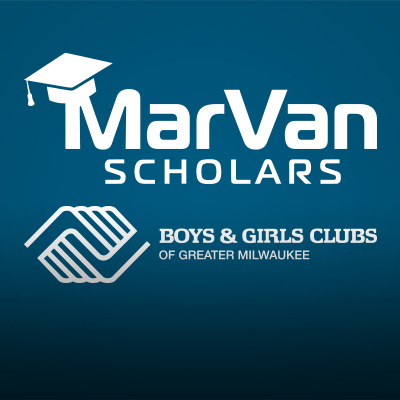 Youth artists from all Club locations in Milwaukee submitted art pieces to be considered for a local art show in one of nine categories. 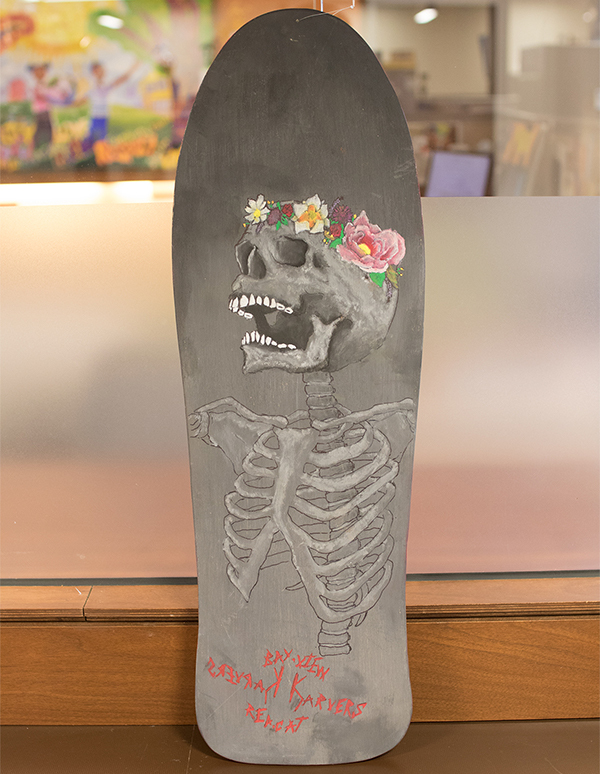 Bay View High School artist Eric Mulhern-Fowler won first place in mixed media for his acrylic longboard design. Eric’s longboard won first place in the same category at the Club’s Midwest Regional Fine Arts Contest and concluded with another victory at the National Fine Arts Competition. 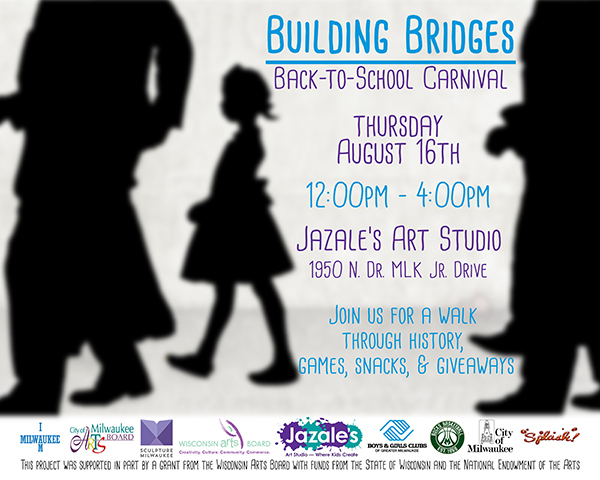 Lastly, we’d like to invite you to celebrate our young artists with us at the Building Bridges Back-to-School Carnival this Thursday, August 16, from 12:00 p.m. – 4:00 p.m. Held at Jazale’s Art Studio (1950 N. Dr. Martin Luther King, Jr. Drive), the carnival will represent the unveiling of the Mural Arts team’s Building Bridges art project. Over the past year, youth at the Davis Boys & Girls Club have studied the courage of American Civil Rights Activist Ruby Bridges as she entered school in 1960 as the first African-American child to integrate an elementary school in the south. Building Bridges commemorates the bravery and struggle of Ruby and other children like her. 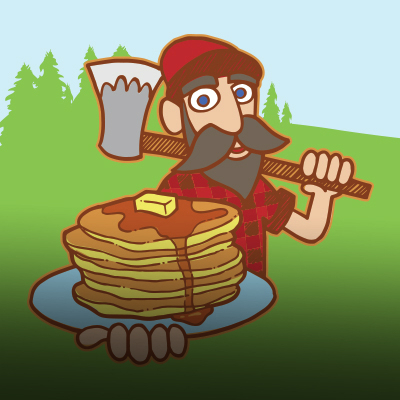 We hope you’ll join us to observe this special unveiling! The success of young artists like those mentioned here are not possible without the support of individuals like you. 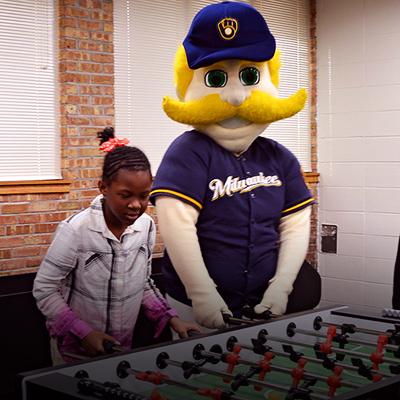 If you’re feeling inspired by these Club members, we encourage you to click the button below to donate to our youth!